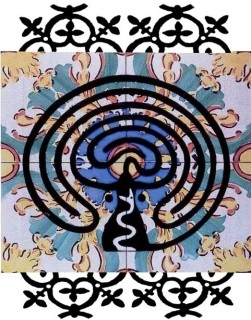 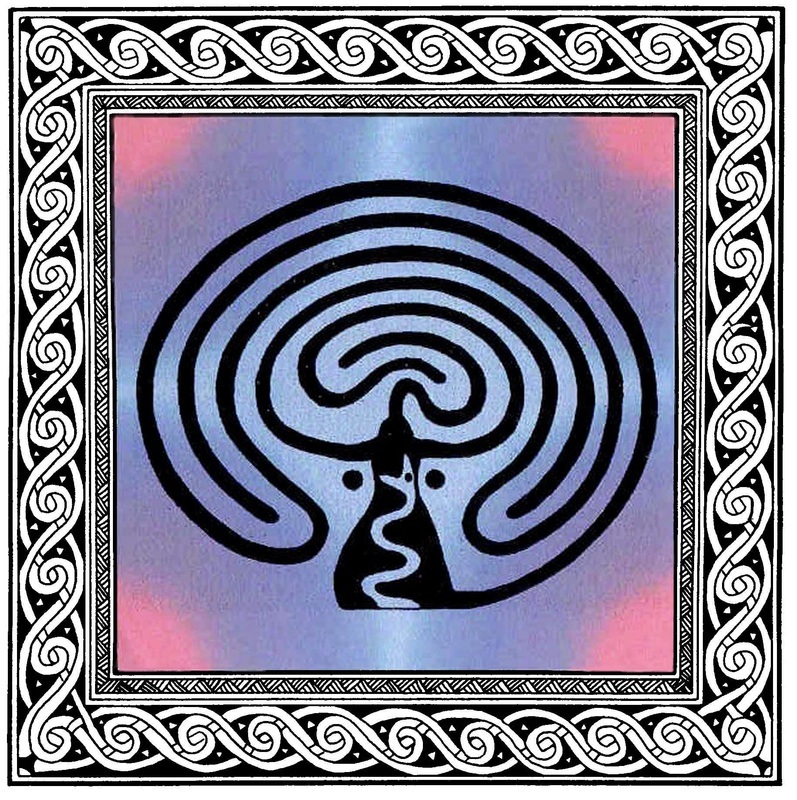 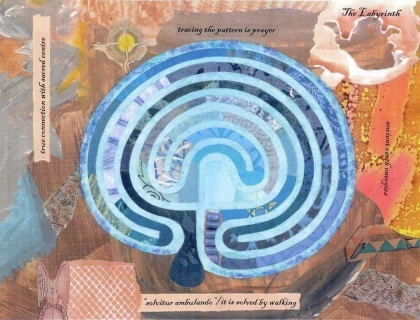 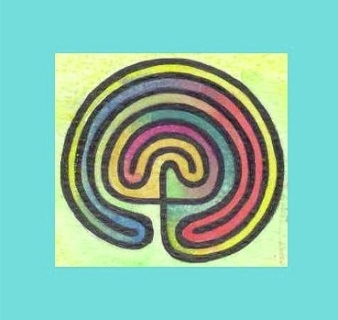 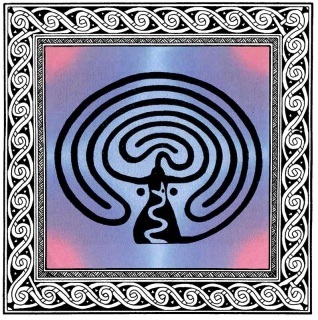 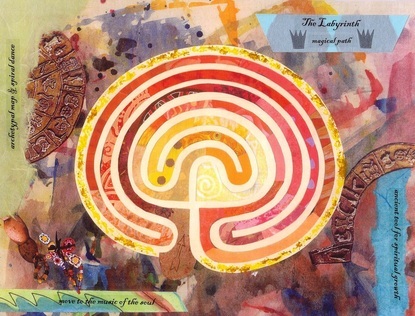 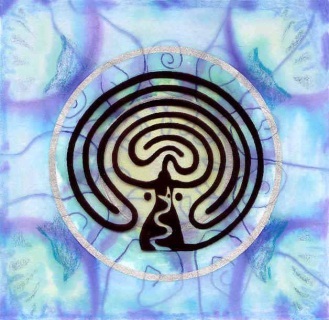 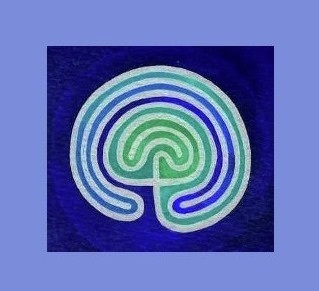 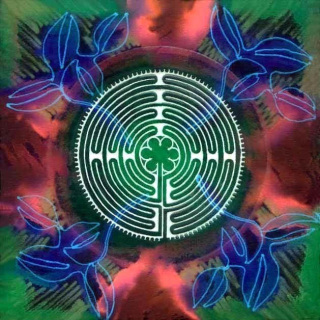 The labyrinth is a powerful tool for meditation, contemplation, ritual and spiritual growth. 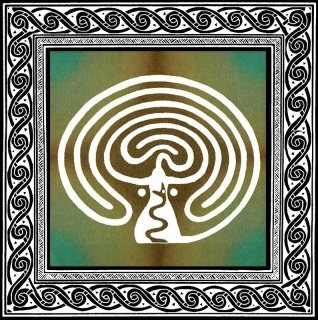 With ancient origins in Old Europe and other places around the world, this elaborate, yet simplistic sacred design evokes the powerful energies, or ley lines, of the Earth. By walking the labyrinth, one may contemplate the wonders of the universe, receive wisdom and guidance, and move to the music of the soul! 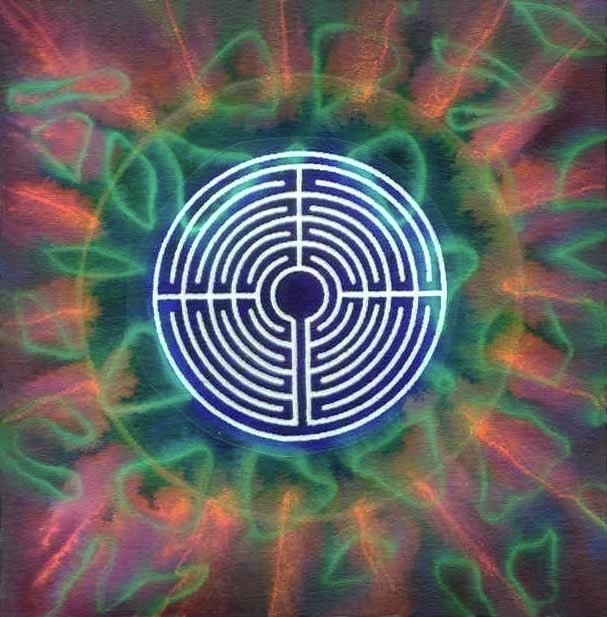 The labyrinth is an ancient, powerful tool for meditation, contemplation and ritual. The elaborate, yet simplistic design of these images honors the creative spirit of the Earth Goddess and her Sacred Serpent. 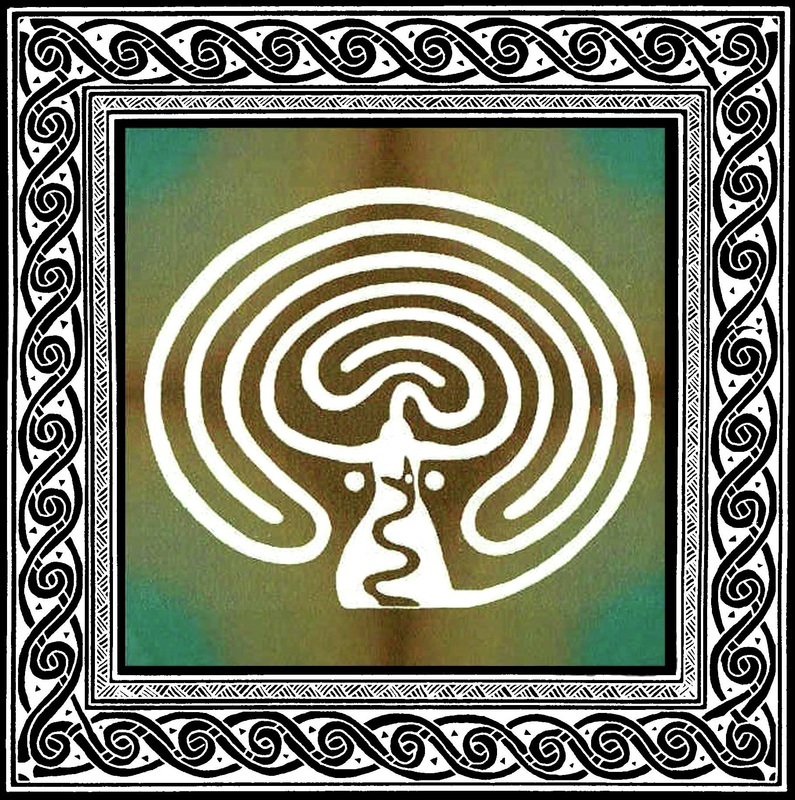 The serpent is a reclaimed symbol of fertility, regeneration, and the powerful energies, or ley lines, of the earth. 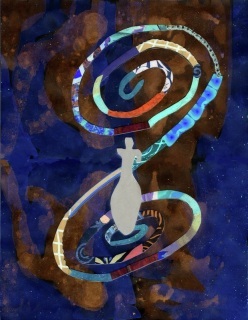 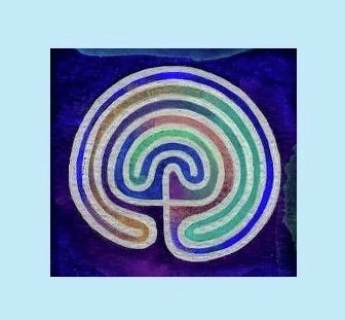 By tracing or walking this special labyrinth, one may receive Her wisdom and guidance, be inspired to create wildly and celebrate the Goddess within. 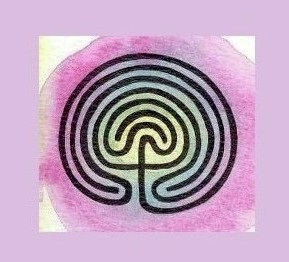 of walking the Goddess Labyrinth. 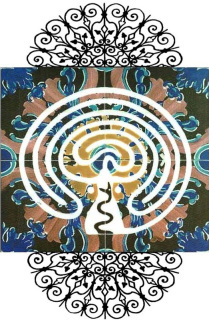 by the timeless spirit of the Avalon Tradition. 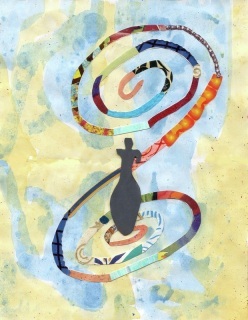 wholeness and the feminine fire of spiritual awakening. 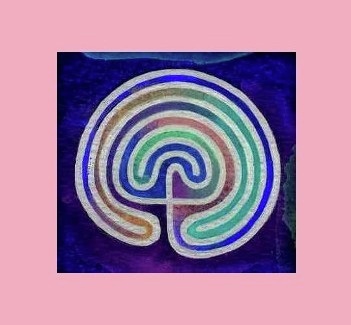 These images celebrate the vibrant energy and colour of the rainbow. As a symbol of the bridge between heaven and earth, rainbows often appear at an emergence point - a portal where crossings are possible between the worlds. The labyrinth is also a bridge from the mundane to the sacred. 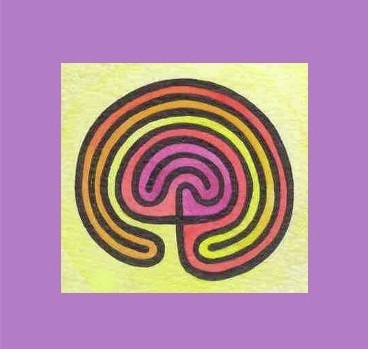 Available as note cards only, image is mounted on black with hand-sewn insert. 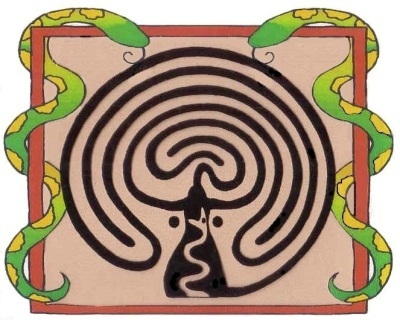 The Romans built many beautiful mosaic labyrinths, typically found on the floor near the entrances to their villas. 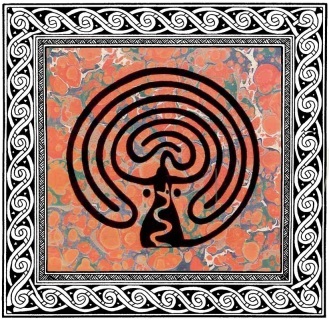 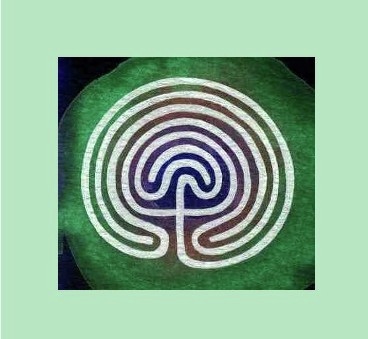 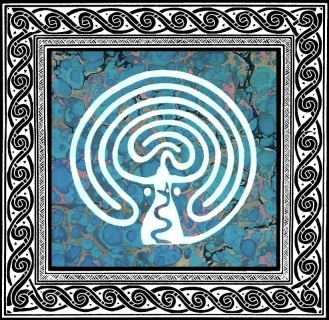 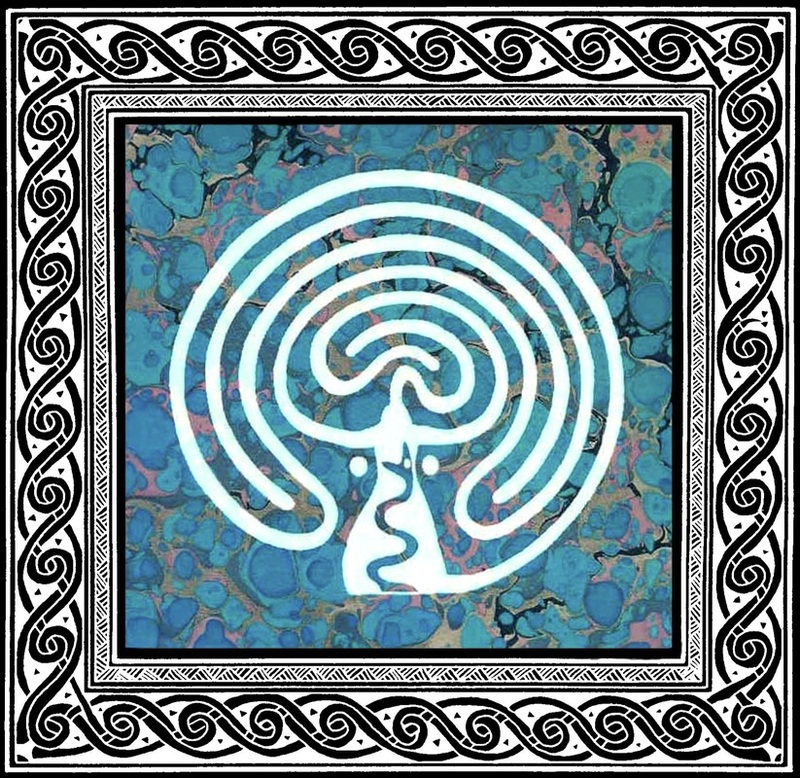 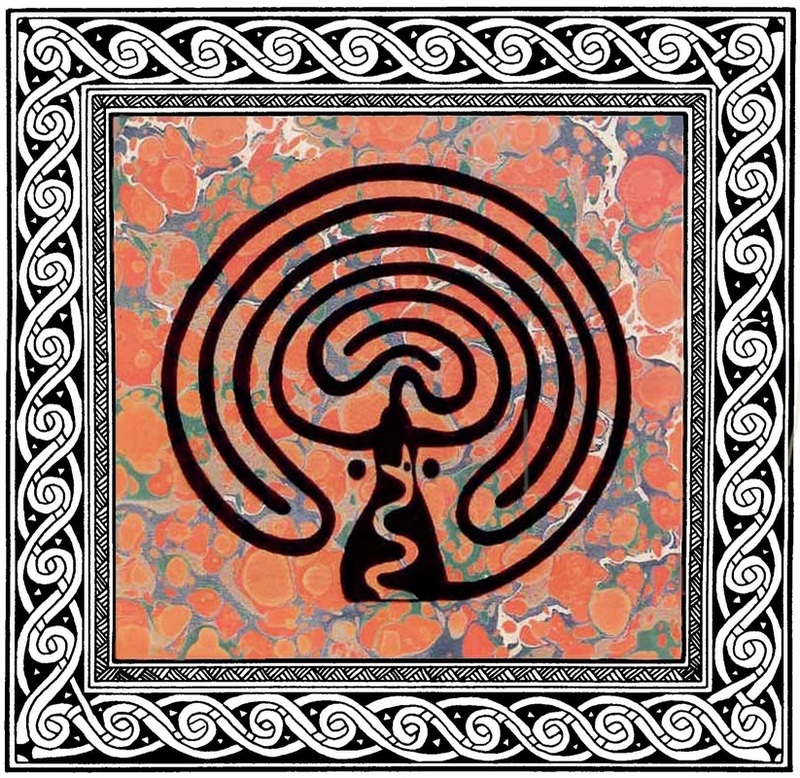 This suggests that they served a protective function and were believed to ward off evil influences or intruders, a common function of the labyrinth in other cultures as well. The complex labyrinth at Chartres Cathedral in France was designed and constructed by Freemasons who were considered to be pagans by the Church. 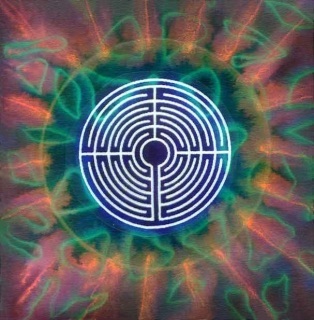 The middle circle of this sacred geometry encloses the six-petaled flower of Aphrodite, the Greek Goddess of sensuality. 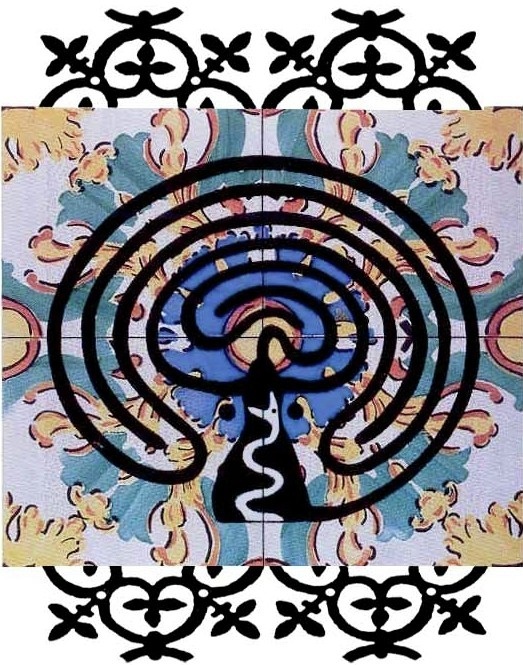 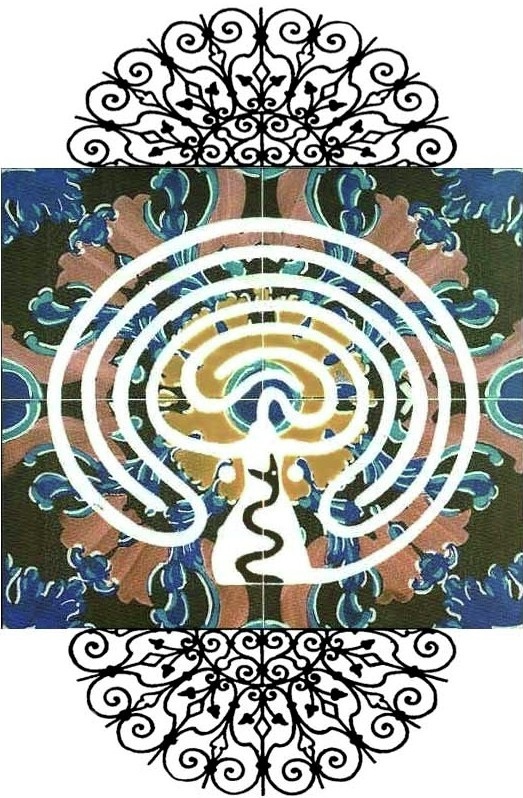 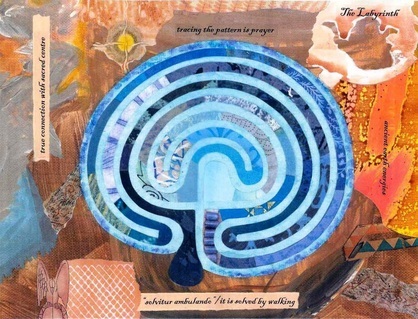 The labyrinth is an ancient, powerful tool for meditation, contemplation and creating ritual. The spiral symbolizes the eternal path of one's spirit, and the never-ending power of feminine energy, fertility, growth and abundance.